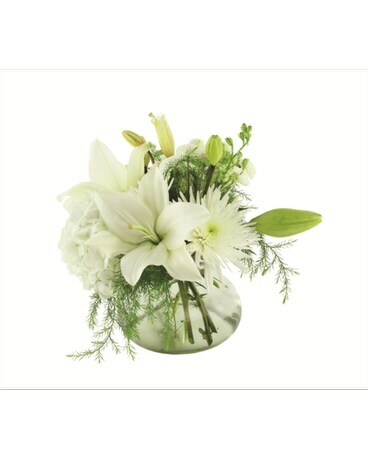 A classic arrangement that will enhance any space, this piece is versatile and elegant. White Lilies, Hydrangeas, Fuji Mums and Snapdragons fill this Rosie Posie vase with a sweet aroma. This gathering of flowers serves as a timeless gift for all occasions!